As we move further into the month of October, we are finally starting to see a weather change that actually reflects the season. This weekend is filled with more outdoor activities, more fall-themed events, and more opportunities to get you into boots, sweaters, and jackets! Here is your DMV weekend roundup for Friday, October 19 – Sunday, October 21! Okay, so I know you want me to stop writing about the festival, but this is it -- the very last weekend. And the weather is supposed to be perfect for a medieval costume! Explore all the booths, learn something new about history, and of course, chow down on some great food. You can get all the information about the Renaissance Festival here. Come celebrate the diversity of Montgomery County in Maryland this Sunday! The festival is in its 10th year and always sees a great turnout of lively people. If you love anything international, you are sure to have a good time at this event. There will be plenty of international cuisine, music, learning opportunities, live performances, and exhibitions. Admission is free, which gives you the freedom to wander around and take your time getting to know each booth. Read more details here. The award-winning musical is a must-see, and it’s going to be at The National Theater until November 18. But, why wait? Go this weekend and experience this strangely wonderful show, based on Tim Burton’s movie. It is a great opportunity to catch it in D.C., because soon it’ll be headed to New York City to make its Broadway debut. Tickets range anywhere from $54 to $114, and there will be 38 performances total. Grab your tickets for Beetlejuice here. Are you looking for the perfect Halloween-themed activity for the whole family? Well, I’ve found one for you, and the best part is, it's at The National Zoo. Boo at the Zoo will have everything your kids could ever want, from animal demonstrations to over 40 treat stations, to interactive events, to crafts, and much more. Costumes are strongly encouraged for people of all ages. And, you get the flexible choice of picking which weekend day is most convenient for you to go. Plus, you’ll have a lot of fun, too, because who doesn’t have fun at the zoo? Pick your dates here. This is a great outdoor festival to come enjoy the water, the fall weather, and of course, oysters and beer. 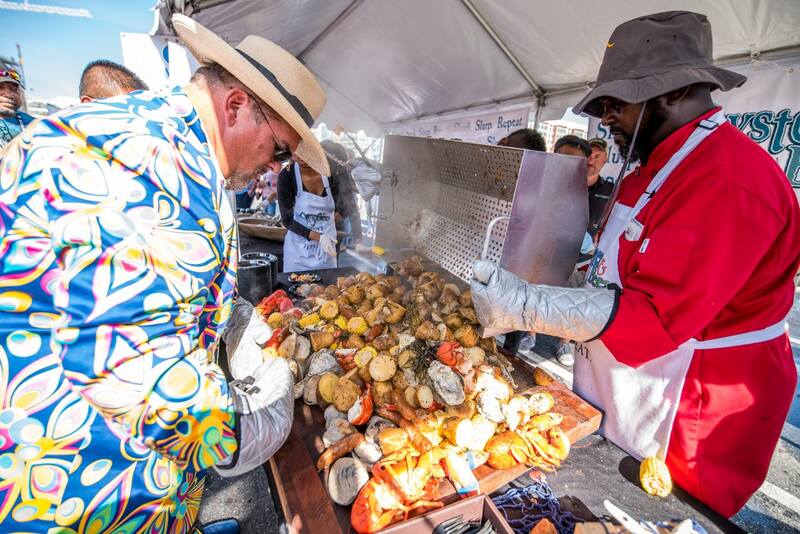 With your ticket, you will get to taste-test all the beer and oysters your heart desires. There will be other food available for purchase as well. Learn more about everything the festival entails and purchase your passes here. Calling all animal lovers! If you have been searching for a good dog groomer, vet, walker, you name it, there will be over 40 different pet-related vendors for you to explore and get to know. If you don’t have a pet, that’s okay too because you can learn about adoption through various organizations as well. And of course, don’t forget to bring your furry best friend along! More information can be found here. There are lots of cool and interesting event choices this week. What's at the top of your list? Share in the comments below! Wish you could understand what your kids are saying? Here's our ultimate guide to Gen Z lingo!